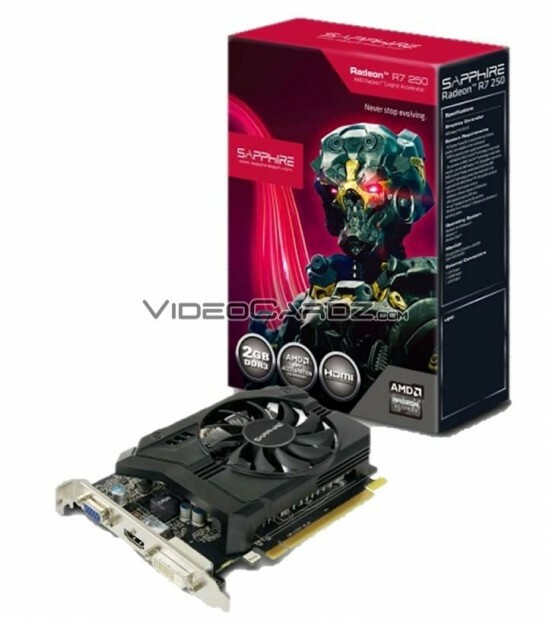 Sapphire is preparing thirteen Radeon R7 and R9 graphics cards for tomorrow. 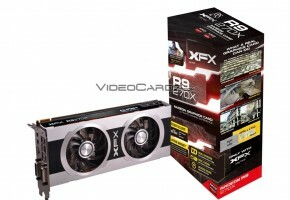 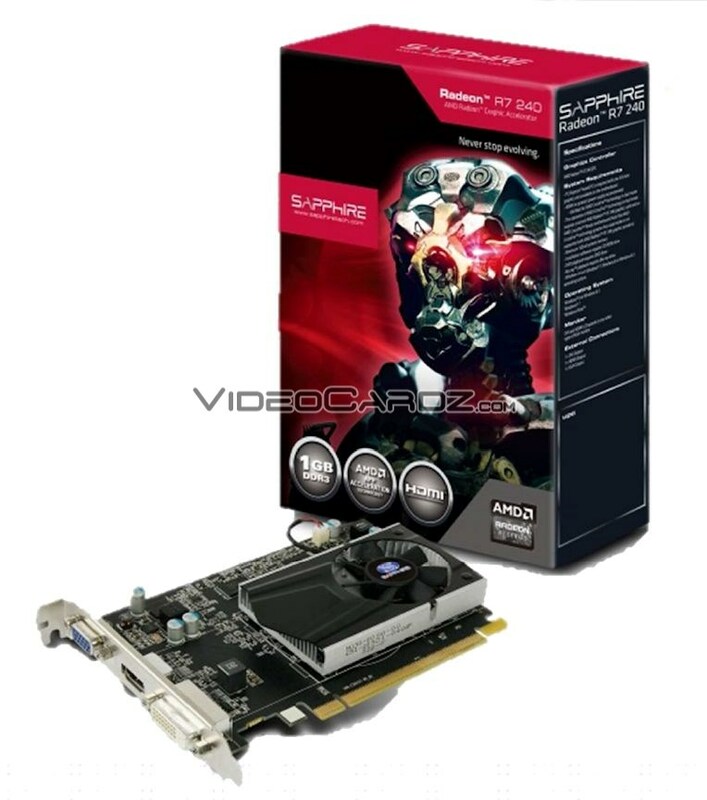 Sapphire made six R7 graphics cards, including two 250 and four 240. 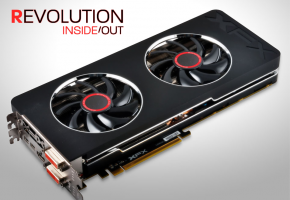 Both are based on the Oland GPU, but the configuration is different on each of those. 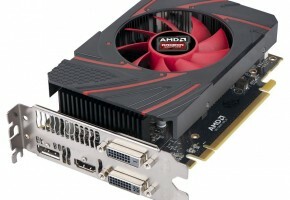 The R7 240 is using Oland PRO with 320 Stream Processors, whereas the R7 250 is powered by Oland XT with 384 Stream Processors. Sapphire prepared multiple variants based on memory configuration, that said you have 1GB, 2GB and even a 4GB models. 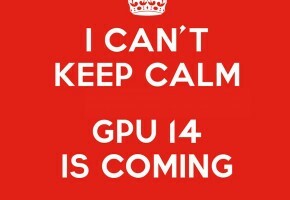 Although the higher the capacity, the lower the bandwidth, since only 1GB models use GDDR5 modules. The R7 240 are all clocked at 730 / 780 MHz, leaving 1000+ clocks for 250. The memory speed depends on the type, we have either 1.8 GHz or 4.6 GHz clocks. The almighty R7 260X is equipped with the Bonaire GPU, which has 896 Stream Processors. 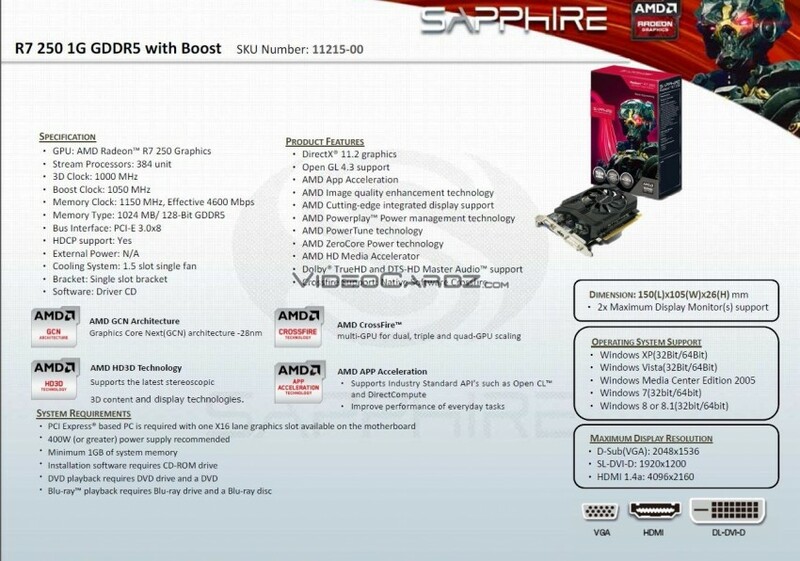 Additionally we have 2GB GDDR5 memory across a 128-bit interface. 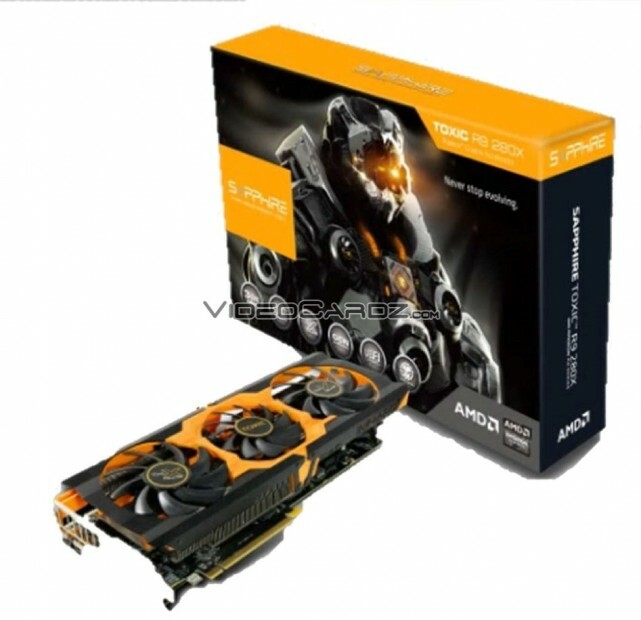 The R7 260X is clocked at 1050 MHz, and it doesn’t have boost, which would explain the missing field in a leaked GPU-Z screenshot a while ago. 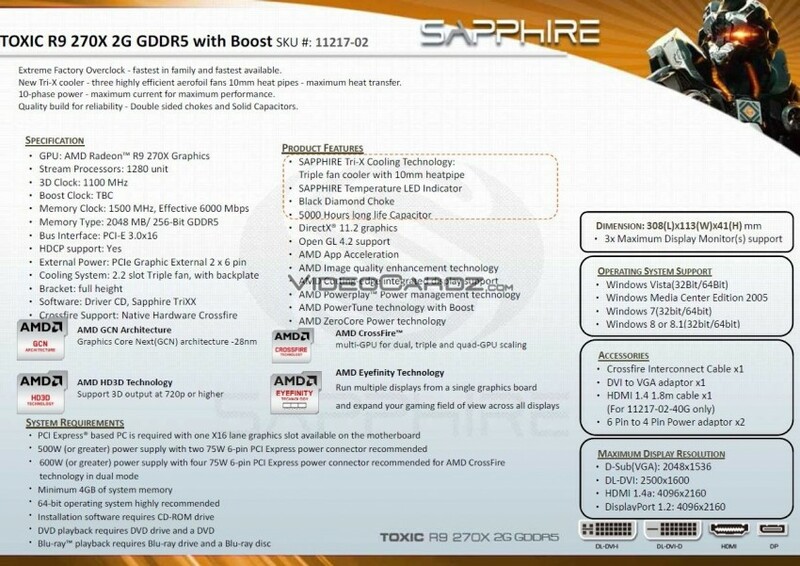 This card runs at rather fast memory clocks — 1620/6600 MHz. 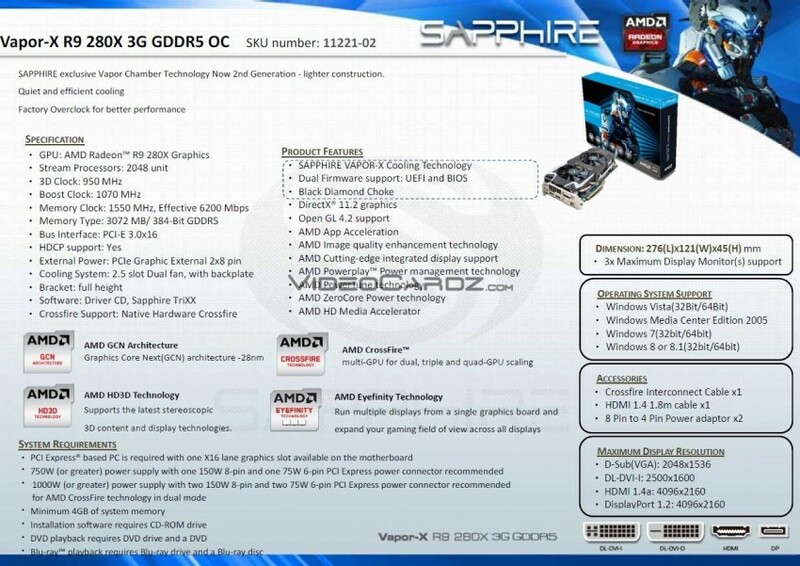 Sapphire made three models, all non-reference. 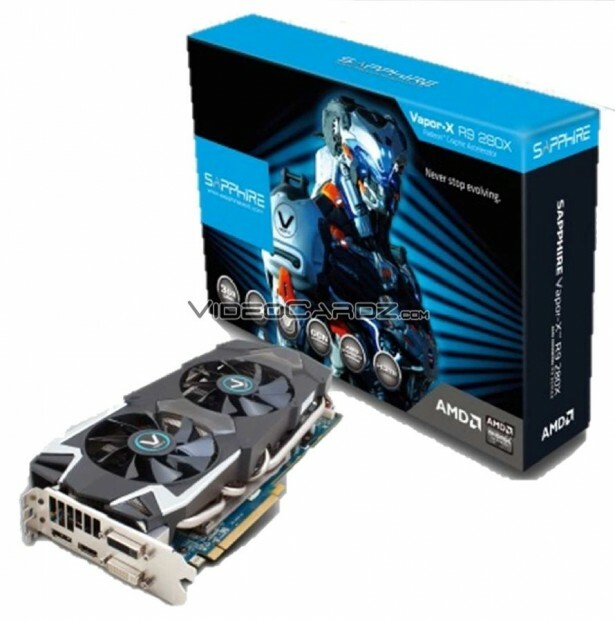 The R9 270X is equipped with a Curacao XT, and I can finally confirm this is a pure Pitcairn replacement, since it only has 1280 SPs, not 1526 as some said. 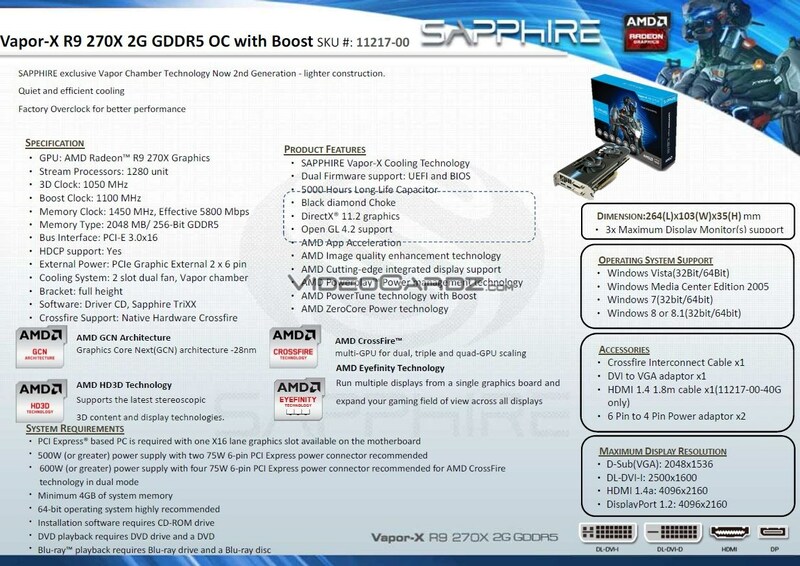 The Sapphire 270X Dual-X is clocked at 1020 MHz for base and 1070 MHz for boost. 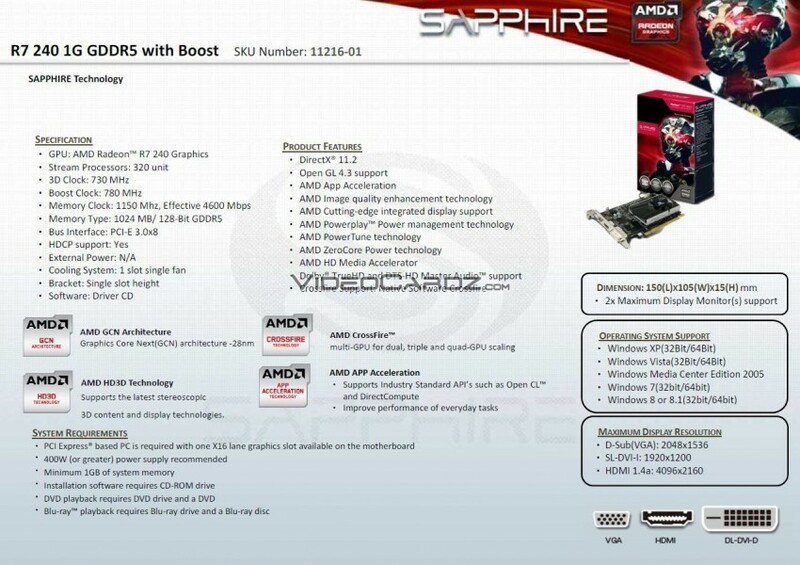 It has a memory clocked at 1400 / 5600 MHz. 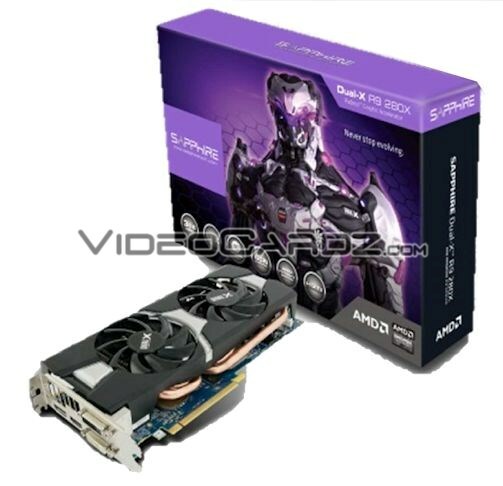 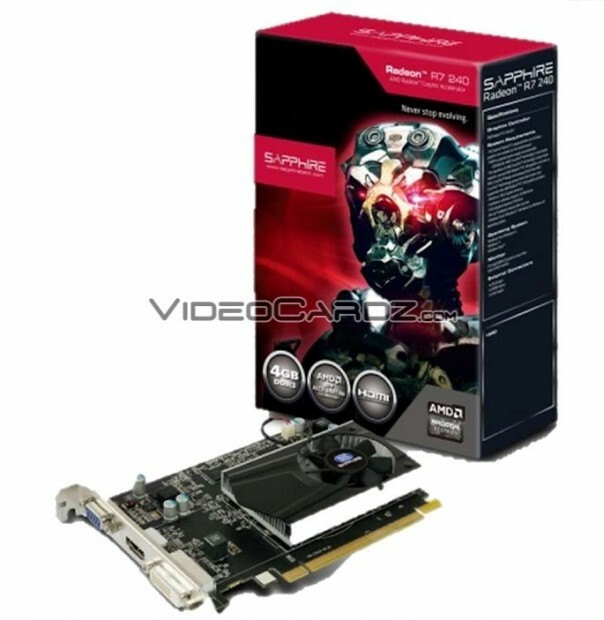 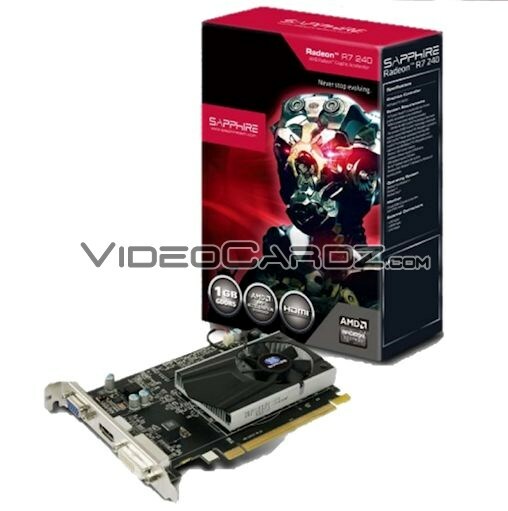 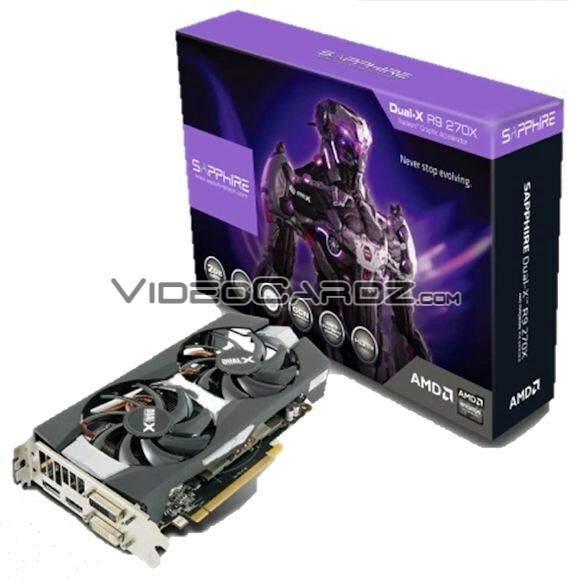 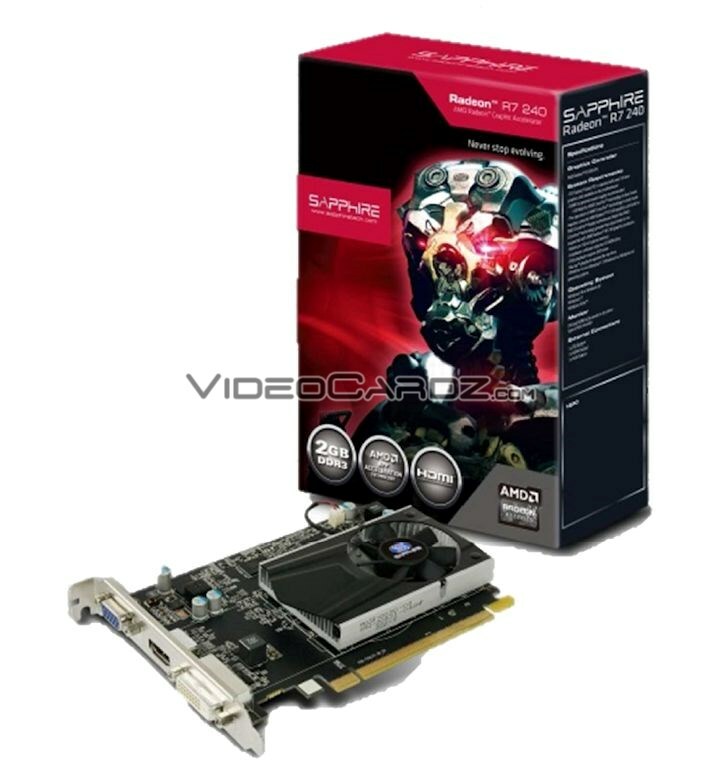 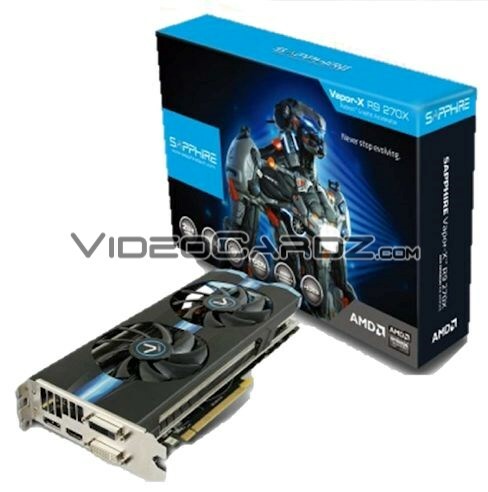 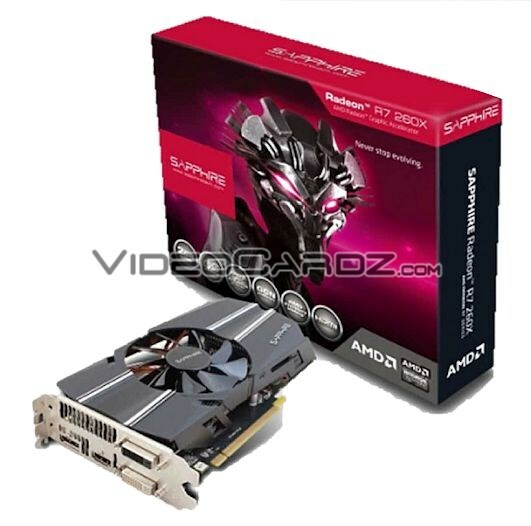 Sapphire 270X Vapor-X has a base clock of 1050 MHz and boost clock at 1100 MHz. The memory is slightly overclocked, operating at 1450/ 5800 MHz. Moving on to Sapphire R9 270X TOXIC, which has the highest clock so far — an 1100 MHz base clock and boost clock which will be announced later. 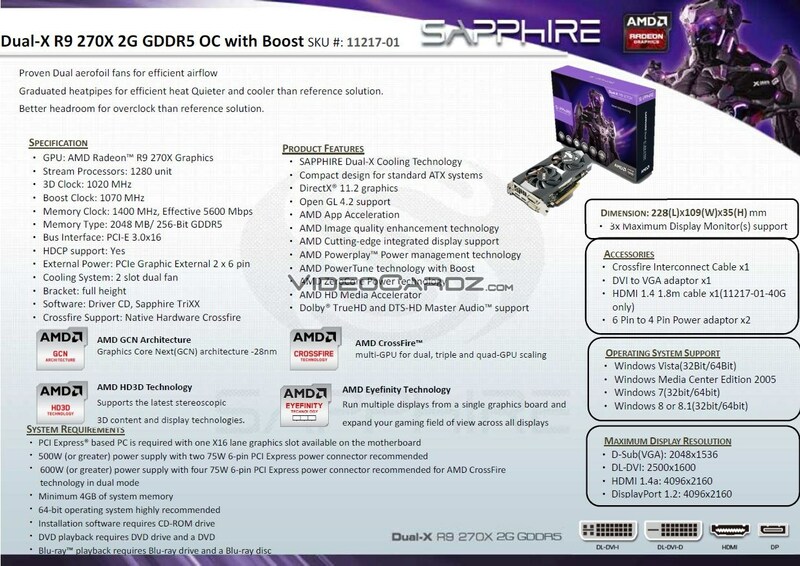 The memory is running at 1500 / 6000 MHz. 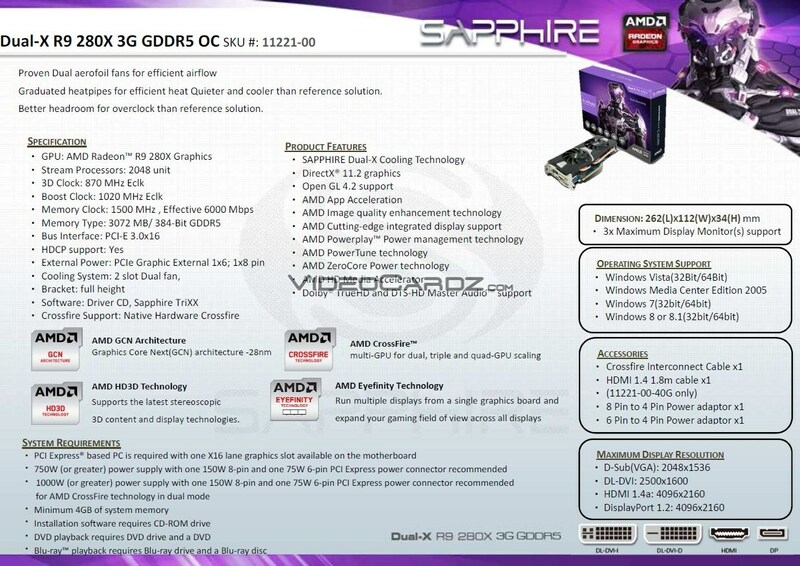 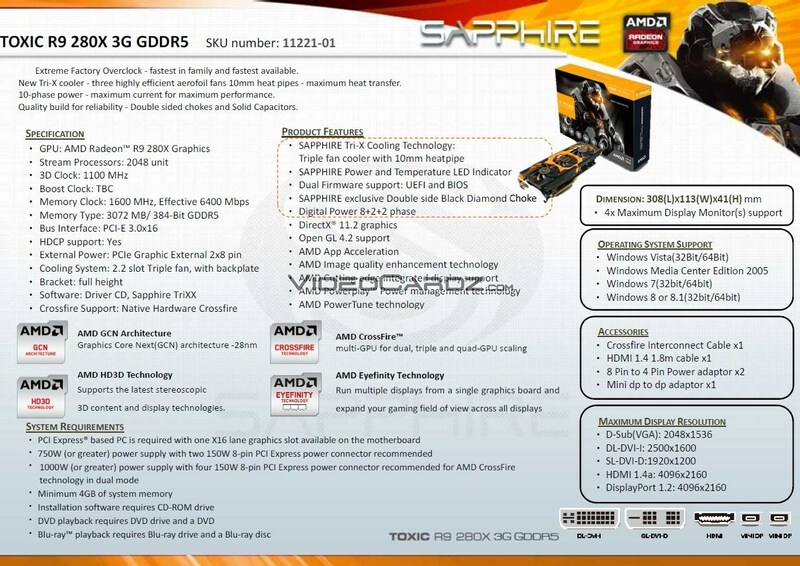 Of course Sapphire is also preparing a 280X (a HD 7970 GE rebrand). 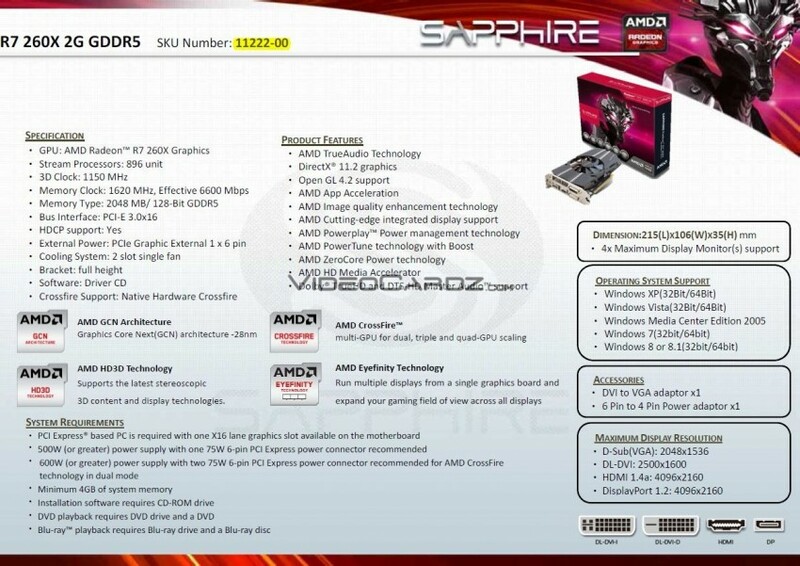 The specs are so obvious that I’m sure you already know them. The card is equipped with a Tahiti XT GPU with 2048 SPs. There are three different cards, just like 270X: TOXIC, Dual-X and Vapor-X. 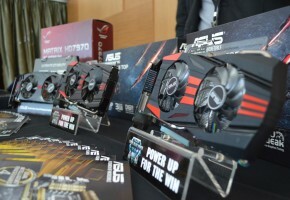 All three cards are featuring 3GB GDDR5 memory across 384-bit interface.